This is a guest post by Alex Eriksson of AnabolicHealth.com - Not to be confused with me, Alex V., of King of the Gym. Be sure to leave your feedback in the comment section below. Muscular imbalances are likely to affect us all at some point. In fact, it’s incredibly unlikely that, as a regular gym goer, you haven’t already encountered some of your own. It doesn’t matter who you are or how you train, finding imbalances in yourself or others is almost a guarantee. They all manifest in a variety of different ways, it could be that your left arm can always push a little harder than the right on a bench press, or you could find your right shoulder feeling a little “tight” when you’ve been sat down for a long duration. Regardless of how imbalances like to reveal themselves, one things for sure; they’re irritating! 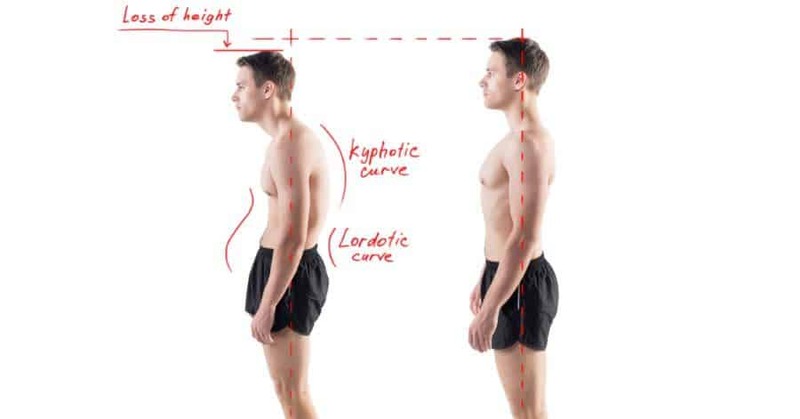 Let’s take a look at some of the causes of muscular imbalance and how we can solve them. It’s not intentional, but where possible we really like to slouch and roll our shoulders forwards. This is why some people end up with tightness in the back of the neck or in a worst case scenario, conditions like “winged” scapula. Whether sitting, walking or standing, one of the best ways to ensure your posture is in check is by pinching your shoulder blades together and keeping yourself totally upright at all times. A good rule of thumb is to try and keep the back of the shoulders in line with the tailbone. Exercises were not designed in such a manner that they are supposed to be open to interpretation. Sure, you can play with the variables, the loading angles etc., but ultimately when you perform an exercise it’s with the aim of targeting a very specific area of the body. If you’re not performing it with this in mind, you’re probably inadvertently targeting other areas as a result. That’s not good! Those areas are not supposed to be targeted from this angle so all you’re actually doing is forcing them into unnatural positions. If you do nothing else when you train, at least make sure your technique is as perfect as humanly possible. This will really ensure that you don’t have to make repeated trips to the physiotherapist to fix your bad habits. You must diligently practice techniques until you can perform them effectively. Then keep practicing until it becomes something that you could do in your sleep. You’re going to have to be patient if you want to avoid injury and maximise your exercise benefit. Note from Alex V. of King of the Gym – I'd like to mention that there's an exception to the very valid general principle of striving for excellent form. And that is the strategic use of "controlled cheating" on certain exercises - the big ones being shrugs, rows, curl and lateral raise variations. This can be superior to strict form for effectively overloading the muscles, especially if they're one of the groups that responds to heavy loads, being stretched under load or is otherwise stubborn. That all being said, it's a technique that should only be implemented by experienced lifters who already mastered the strict form of the movement. I plan on writing a full, detailed article on this topic in the future, so stay tuned. It’s incredible just how little research has been done on this subject over the years considering the undeniable benefits plate loaded machinery has to offer. Let’s get through the obvious downsides first; most gyms aren’t rammed to the rafters with plate-loaded equipment in favour of selectorized (pin) machines. Why though? Are they bad for you? Are they too hard to use? It’s really none of the above. Most gyms prefer all-in-one selectorized equipment because they come with the weights incorporated and it means their users don’t have to run around with plates from machine to machine. One of the most obvious solutions to this is buy more plates. Secondly, people really need to be educated about the difference between the two machine types. Selectorized machines being primarily used in the majority of commercial fitness facilities is potentially a little careless and could be the cause of a great many muscular imbalances. Whereas selectorized machines feel more “comfortable” due to them forcing both limbs into a fixed path plane of movement (in other words they feel easier and safer) what they’re actually doing is working “over” and increasing any existing imbalance. Plate loaded machines on the other hand almost always allow you to use both limbs independently, thus strengthening each side in an isolated manner similar to using free weights. 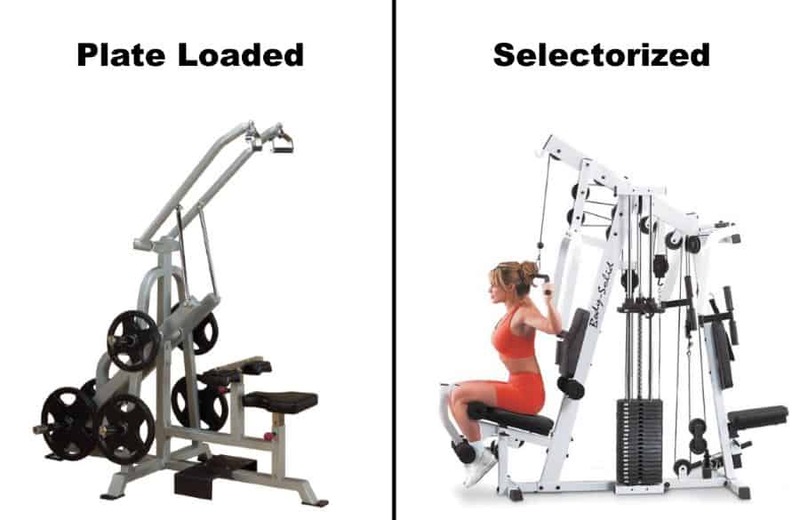 If you've got access to the necessary equipment, you should switch from selectorized to plate loaded machines ASAP if you want to work on your limb “independence” and strength. Collagen is responsible for boosting pretty much every single growth and repair process in the human body. In fact, without it, you simply wouldn’t function properly on a daily basis. You should seriously consider supplementing with collagen either by adding collagen protein into your daily nutrient intake or by incorporating some high strength collagen pills. It doesn’t matter what your imbalance may be, whether it’s completely muscular or skeletal based, collagen will certainly help develop and repair the area along with some sensible training and rehabilitation procedures. Protein intake also boosts growth hormone levels, which is important for repair, collagen protein is no exception. Any other supplements effective at increasing growth hormone levels can be helpful as well. 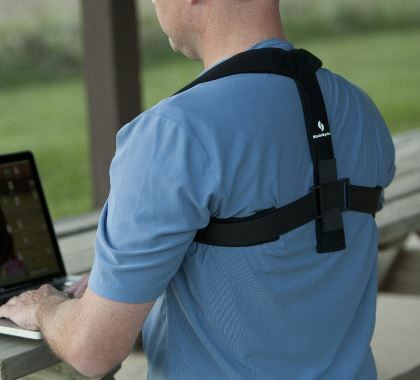 You’d be amazed at the diverse array of posture improvement products available on the market that can all be incorporated seamlessly into your daily routine. You might be expecting horrendous belts and crazy looking seats for your car; whilst those items do exist the market has seen a great deal of evolution over recent years and posture alignment products are now taking a more “subtle” appearance. Whether it’s under clothing bands, shirts with inbuilt postural alignment qualities or even seat covers fashioned in such a way that they apply pressure where it’s needed and keep your body upright; you can get almost everything and anything to help fix your imbalances. It’s worth taking a look through some of the great products on offer out there as it’s likely that at least a few of them will weave perfectly into your daily routine without requiring any extra effort on your part to use. The above tips are going to help you massively in the pursuit of better posture and a stronger skeletal / muscular structure as a result. By implementing just a few of them you’ll be able to eradicate pain, get stronger and generally be able to move around more freely. Don’t all of those positive changes sound fantastic? Of course they do! 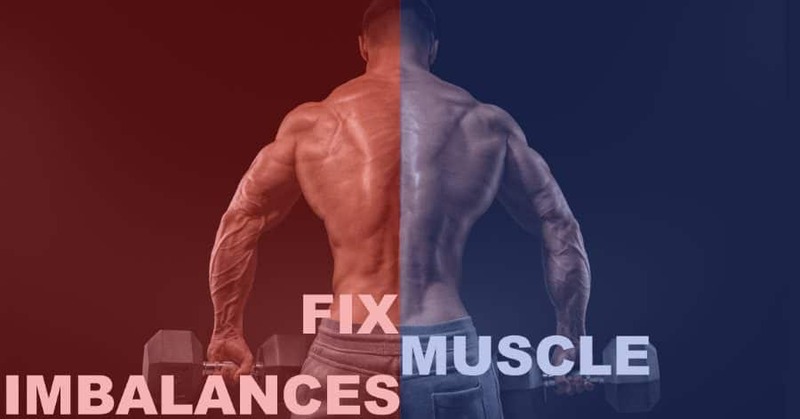 Go and start practicing your posture and make some changes to the way you train in the gym and you’ll reap the rewards of improved posture and balanced muscle in no time at all.